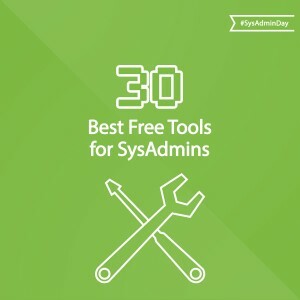 To show our appreciation of all the work sysadmins like you do, and to try to make your work days (and nights) just a little bit easier, we’ve put together a post of links to some of the best free tools any sysadmin could use. Whether dealing with logs or scripts, debugging or troubleshooting, one-time requests or daily tasks, there should be a free tool in this list that can help you out. Many are downloads, but some are online. One cloud storage solution to bring them all together and in the cloud to bind them. There are lots of cloud storage solutions out there, but nothing beats Dropbox for simplicity, cross-platform compatibility, and performance. The best, easiest and most functional compression tool on the planet. There are lots of text editors on the market, but this one is my favorite. Take a look at the simplicity, the number of filetypes it works with, tools including diff and lorem, and the extremely small memory footprint, and you will see why it is my go-to editor. PuTTY is a free implementation of Telnet and SSH for Windows and Unix platforms, along with an xterm terminal emulator. Whether you’re an IT Pro or a developer, you’ll find Sysinternals utilities to help you manage, troubleshoot and diagnose your Windows systems and applications. 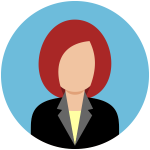 The one tool every Active Directory admin must have; it can find, fix, and update practically anything in AD and handle single changes as easily as it does global changes. There is no reason to RDP into a server once you have the RSAT tools installed. You can manage any aspect of your Windows infrastructure using these tools, and use RunAs if you need to log on as a different user. There’s no way I want to RDP into systems without a clean, simple interface that can sort, group and keep everything in one window. This is that tool. Not a single tool, but a collection of modules for PowerShell all in one place. The ActiveRoles Management Shell for Active Directory is a set of free, predefined commands for Windows PowerShell designed to help administrators automate common, repetitive and bulk management tasks for Active Directory, such as creating, removing or updating objects in AD. The best, fastest, and easiest way to wipe a disk so nothing comes back, short of physical destruction. Here are 19 separate tests that try every possible way to fool your server into relaying. Pass all 19 and you should be good to go. Enter an email address into this form, and the server will validate your MX records, connect to your server, request your server to verify an address, and display the results. Typically, you don’t want your server to VRFY addresses, as this is a reconnaissance method used by spammers. Sender Policy Framework (SPF) uses TXT records in DNS to identify servers that can send email on behalf of a domain, and Microsoft’s wizard will help you set up the right information to add to those records. This site contains a wizard-based creator for SPF records. It’s always a good idea to make sure your MX records are properly set up. This site prompts you for your email address, and then performs a DNS lookup for the associated MX records and displays the results. It can test from three global locations so you can test whether changes have replicated throughout the DNS. This page will test 22 different DNS-based email blacklists (DNSBL) for your server to see if any of them lists your MTA. Exchange admins will love this site. You can test ActiveSync, Outlook Web Access, Outlook Anywhere and SMTP flow. Set up a valid user account on your system first so you can test things that require authentication. Originally built for Exchange, this is a great tool to have on any system you might use when looking at error logs. Ever needed to selectively remove autocomplete names that were wrong from Outlook? They are stored in an NK2 file, and this app lets you do just that. This tool allows you to access message stores using a GUI, which can reveal all the rich data usually only accessible to Exchange. Blat is a great command line utility you can use to enable scripts or batch files. 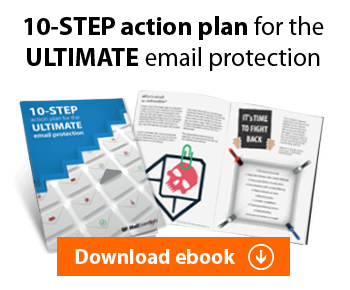 It isn’t dependent on Exchange or Outlook, but it is too useful to leave out of any list of tools for email. Nichols Fong ported the dig tool from Unix to Windows, and it is a great cmd-line way to check A, MX, TXT, PTR, and other DNS records without having to use a website. Included in the download of dig is a whois command, which can help you identify the responsible party for a domain in case you have problems sending to, or receiving from, or just want to query the authoritative nameservers for that domain. The OpenSSL tools are great when you need to troubleshoot certificates, or convert them between Microsoft and other standard formats (like when you want to use a cert from your Exchange server with a new loadbalancer or SSL accelerator). Need to test bandwidth and network performance between servers? The iPerf tools include client and server, and can run sustained tests to find network issues. Simply the best protocol analyzer around, and the price can’t be beaten. Microsoft also has a free online security scan that can help you clean up after an accident. This tool is a self-check vulnerability analyzer that helps you quantify a system’s specific attack service as a part of evaluating risk. While the list above should keep you occupied for hours, there’s no way we have listed all your favorites. Leave us a comment with your favorite tools and we’ll share them with our readers and sysadmins. Liked this post? You’ll probably also like our First Aid Kit for Sys Admins eBook. Get it for free today! Great list of tools. I have used many of these in my travels and it is nice to see some new ones that I should check out. Thanks. Thanks for your feedback Tim 🙂 If there are any others you have used which you found great – do share!